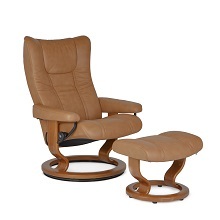 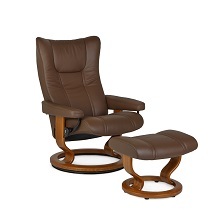 The Wing chair and ottoman by Ekornes of Norway is one of the first and most popular Stressless designs dating back to 1994. 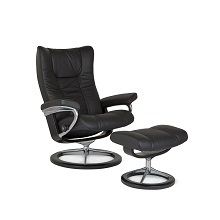 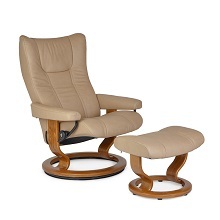 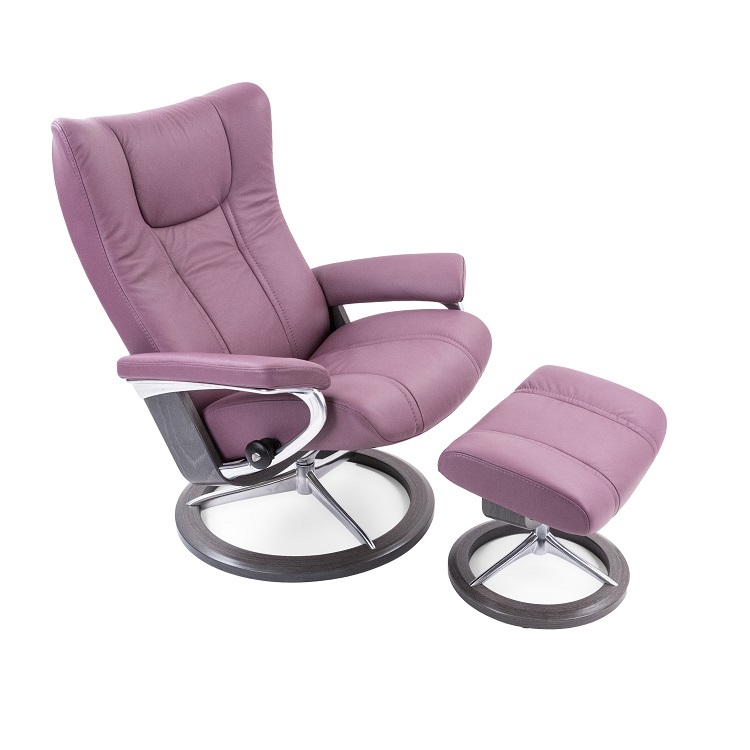 The chair's design is timeless, though its innerworkings have Stressless' most cutting edge comfort technology, including the patented Plus system. 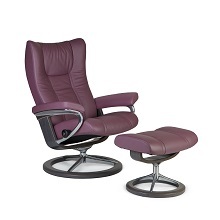 Pictured in size large in purple plum Paloma leather with a grey signature base. 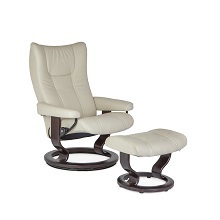 Available in a variety of colors and sizes with signature or classic bases.